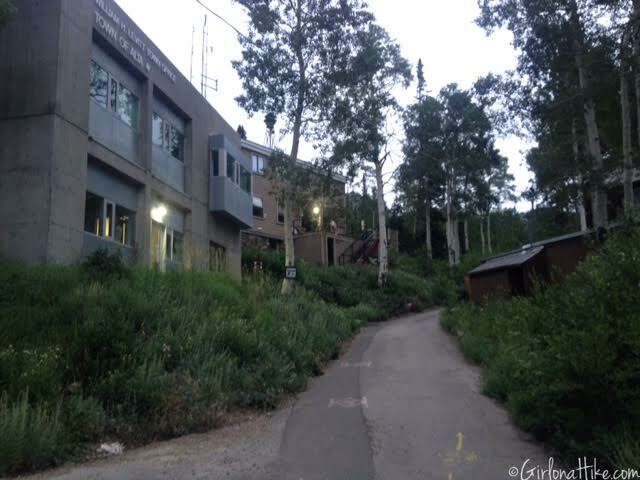 The trail has several switchbacks, steadily gaining elevation. 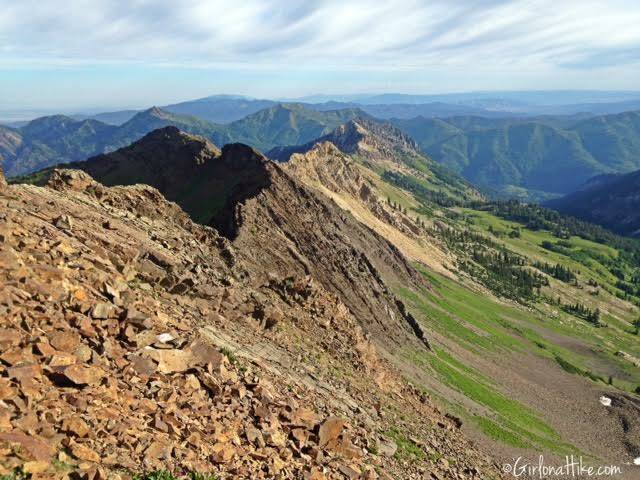 Many people hike to Cardiff Pass, and turn around, but the real fun and adventure begins when you start to hike along the ridge. 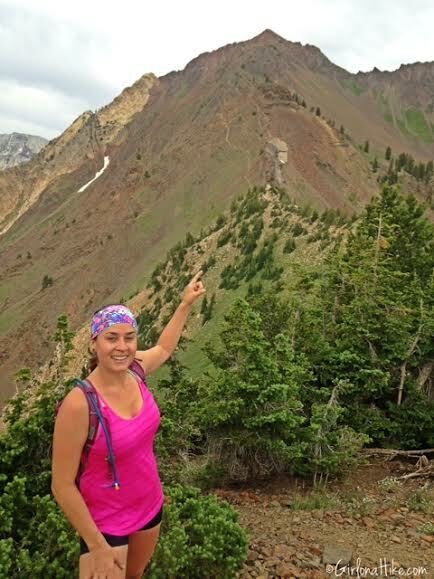 The first 1/2 mile of the ridge is easy, and follows a well defined trail. 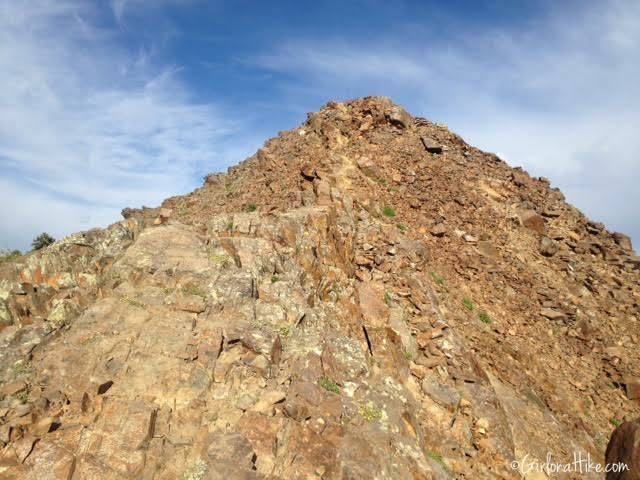 The last 1/2 mile to the summit is a scramble, with a little route finding. 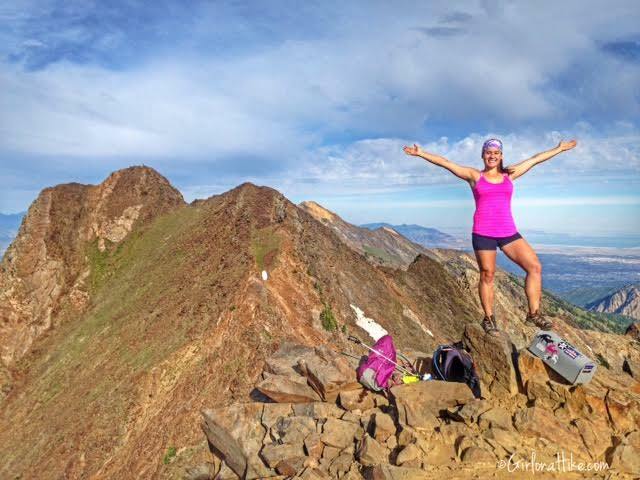 As long as you stay on the ridge, you'll reach the peak. 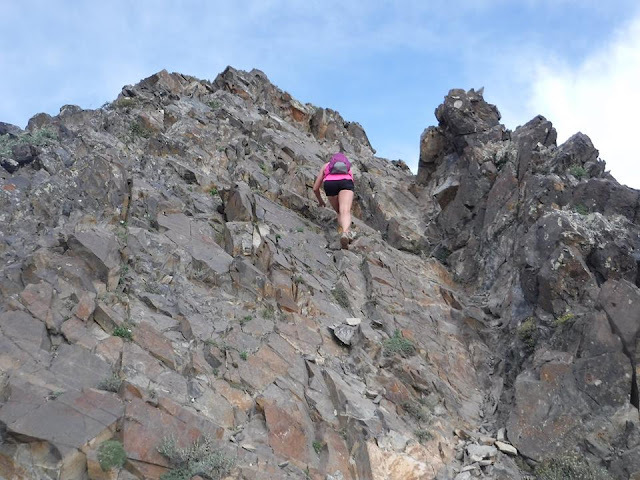 If you are afraid of heights or have never hiked across a knife-edge, this isn't the hike for you. The narrowest section of the ridge is only 1 ft wide! 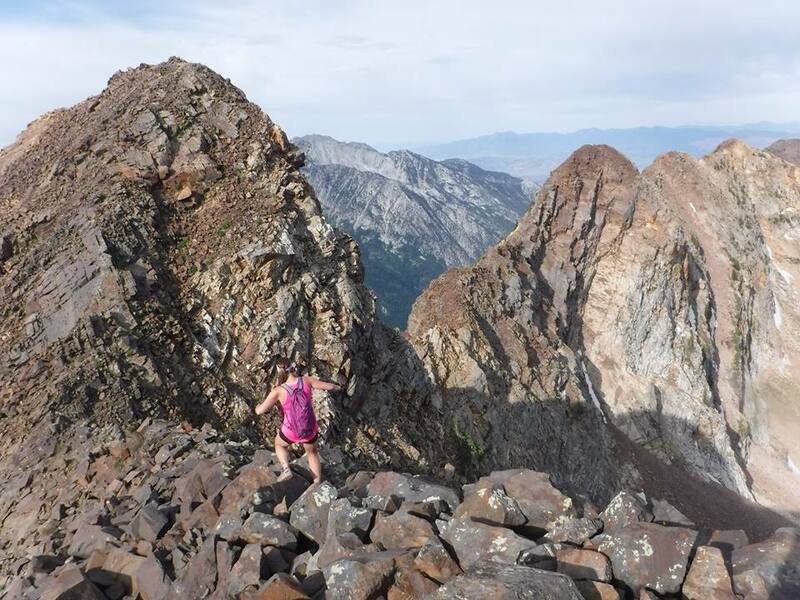 I recommend starting out with an easier scramble, such as Clayton Peak. 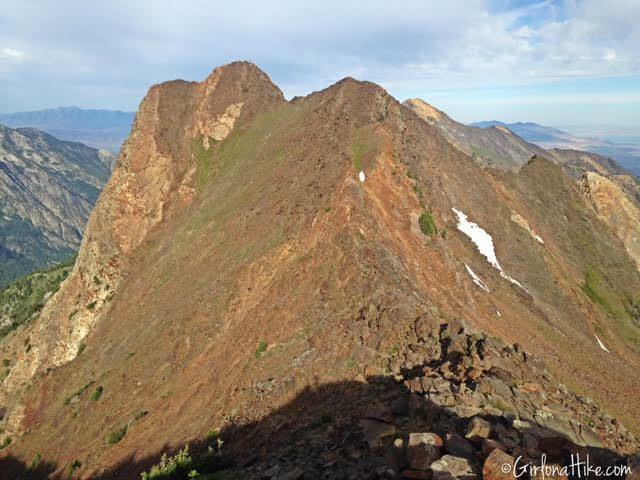 Clayton Peak is more suitable for beginners, since the trail and scramble is much shorter. 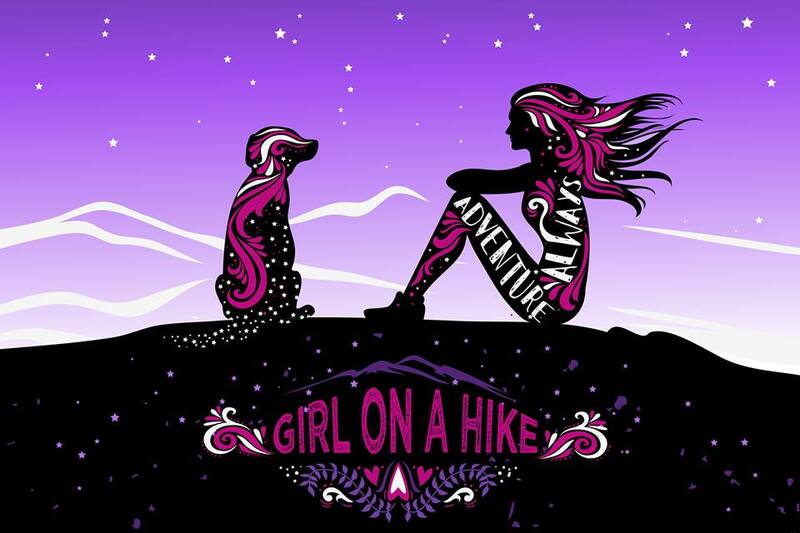 On this trail you'll summit Mt. Superior first, and Monte Cristo Peak is a mere 15 minutes further West along the ridge. The ridge in between the two peaks is easier than the climb up to Mt. Superior, in my opinion. Be sure to bag both peaks - it's well worth the effort and time. 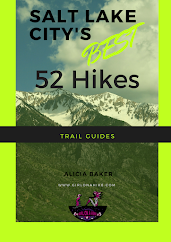 Start hiking early in the morning in the summer to beat the heat and crowds. 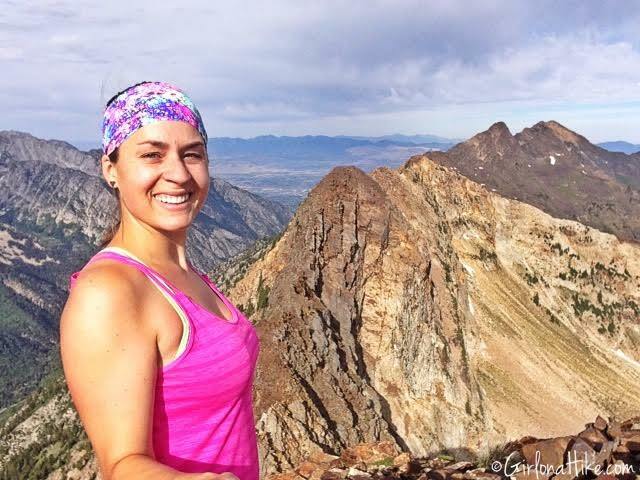 My friend and I started hiking at 6am, and summited in exactly 2 hours at 8am. By the time we got back to Cardiff Pass around 9:30-10am, there were literally about 20 people hanging out at the pass, and we passed even more on the way back down to the car. 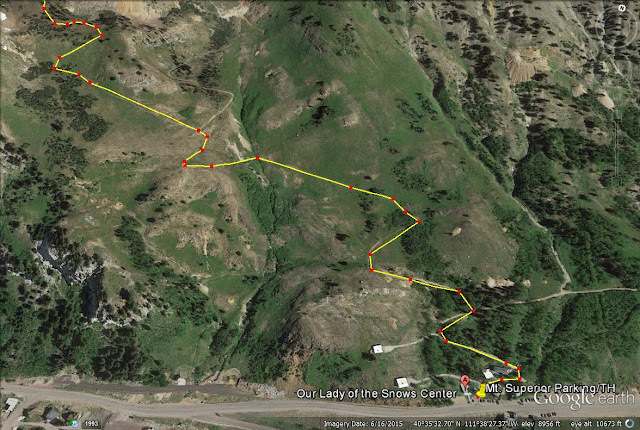 Drive up Little Cottonwood Cayon for 8 miles (past the Park in Ride, at the intersection), and park at the "Our Lady of the Snows Center" on your left (see photo below). The trail starts by walking up the paved road right by the Our Lady of the Snows Center, and take the first right. 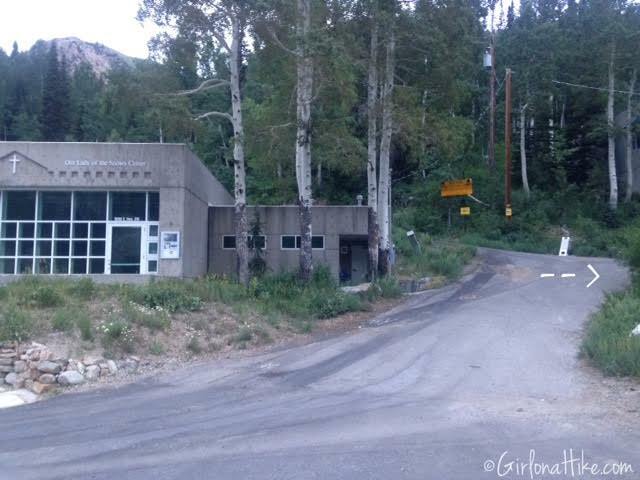 You'll then walk by the Sheriff's Station on your left, as the road rounds the corner. Walking by the Sheriff's Station. The road will turn West, and turn into a dirt road. The dirt road turn East again. 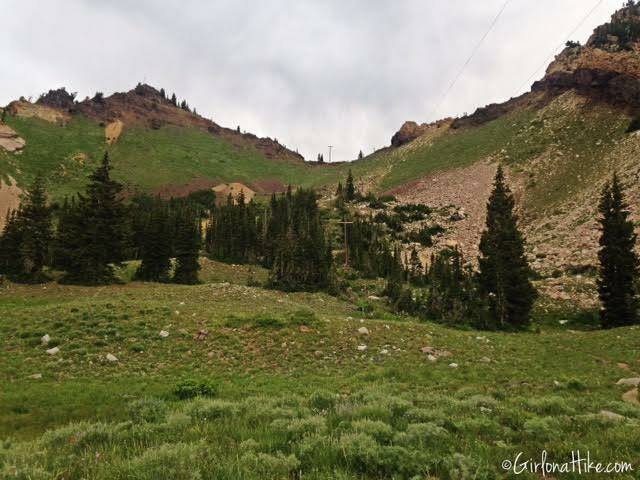 You'll follow the power lines most of the hike, until you reach Cardiff Pass. Just after the road turns East, look for the trail splitting off to the left. This is your trail. 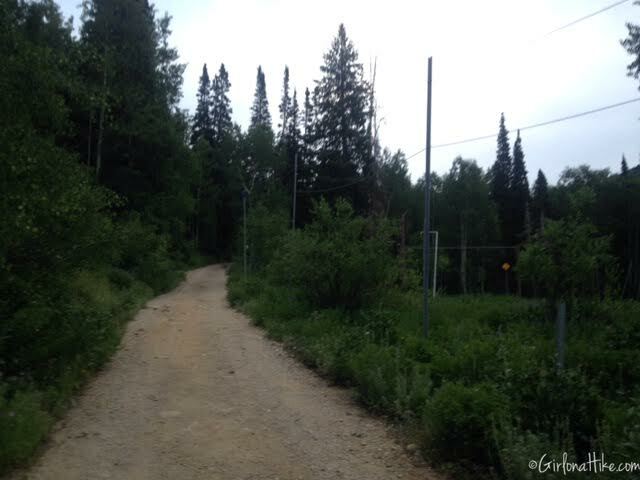 It's an old mining road, that is not really a road anymore, but a hiking trail. 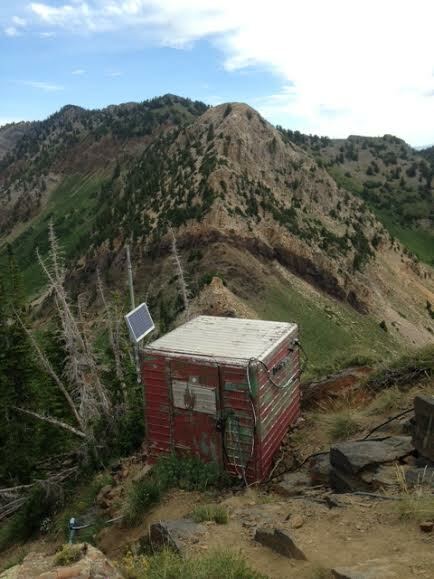 As you continue up the trail to Cardiff Pass, you'll have amazing views of Snowbird to your left. 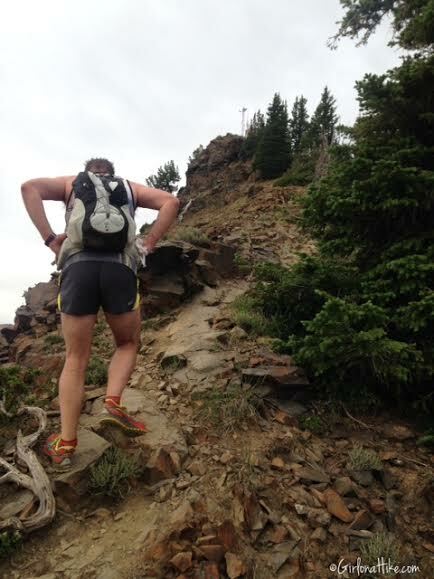 Working our way up the switchbacks. You'll see a few short cut trails, but I just followed the old road. 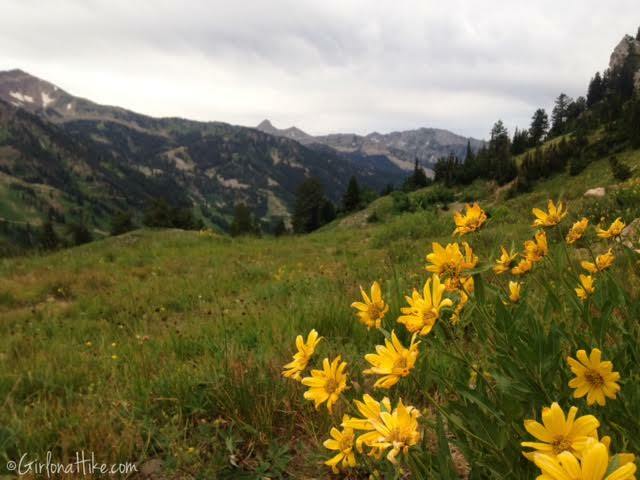 July is prime time to see the wildflowers at this elevation. These flowers looked so pretty, and the view of the Pfeifferhorn in the distance was awesome. 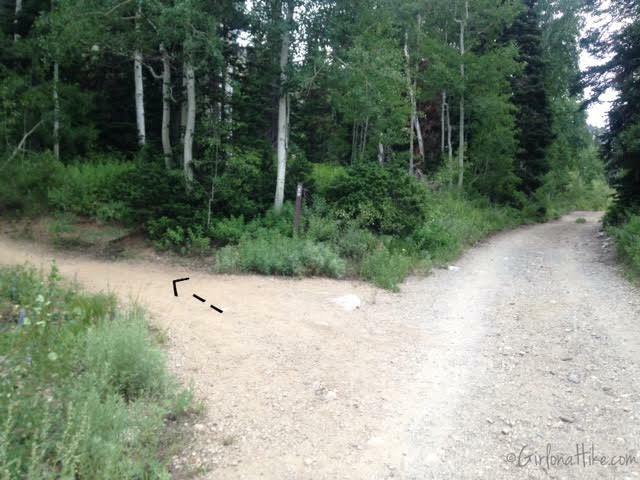 You'll come to a distinct trail split. To get to Cardiff Pass go left. If you have time and want to get a closer look at the Cardiff Mine, go right. 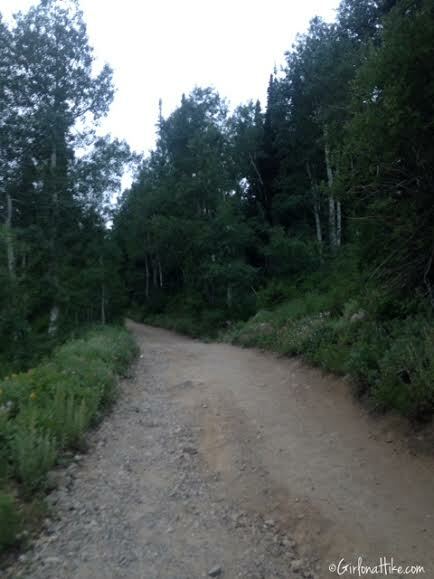 We continued left on the trail split, and the trail became a little steeper for this section. 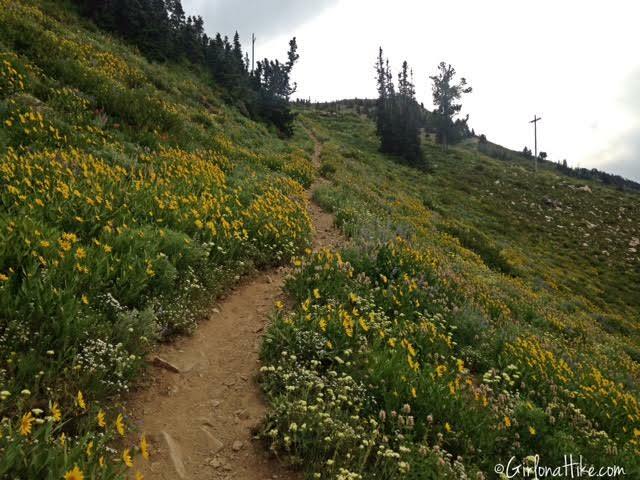 The flowers were a great distraction from the steep climb. You now have a clear view of Cardiff Pass! Don't be fooled by the peak to the left - that isn't Mt. Superior - it's Christmas Tree Peak, and is called so, because in winter there are Christmas lights turned on, and are formed to look like a tree. 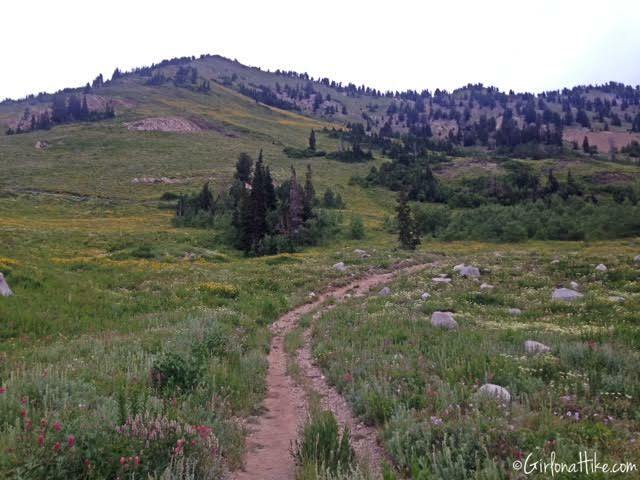 Hike through the small meadow, and follow the trail until you reach the pass. Once at Cardiff Pass, turn left (West) and follow this covered electrical line up this rocky area. 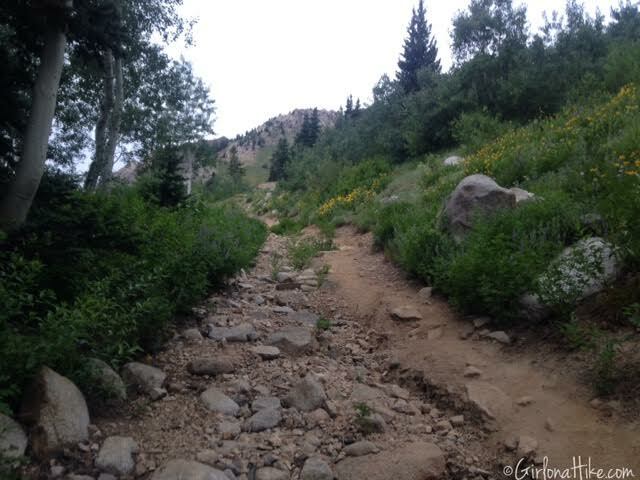 Don't take the trail that curves around the South side of Christmas Tree Peak! The trail was very steep for about 100 yards. We decided to skip bagging Christmas Tree Peak on the way to Mt. Superior - we figured if we had enough time on the way back we would stop by it. The first full view of Mt. 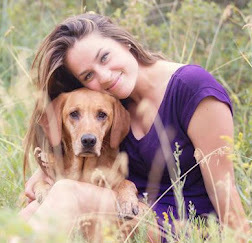 Superior - it's so close yet so far away! 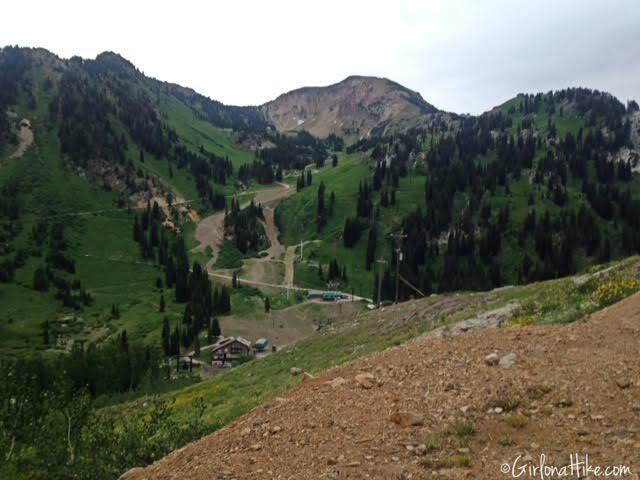 On the North side (your right), you'll get amazing views into Big Cottonwood Canyon area, and Kessler Peak. This drainage you look into is where Doughnut Falls is, but a few miles down. The trail is well defined along this section of the ridge up to Mt. Superior. No scrambling yet! 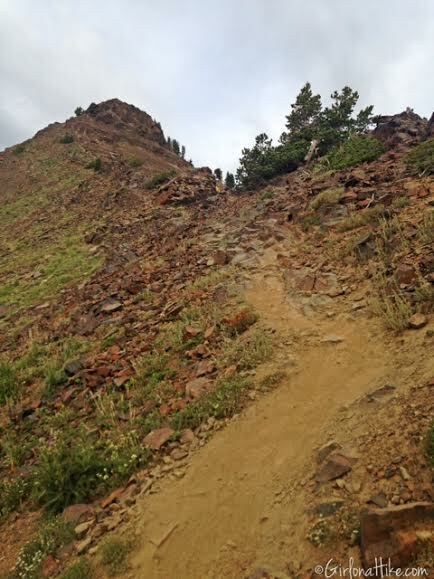 Now you can see the trail gets really steep and there's more rocks. Starting here, be very careful where you step and keep an eye out for cairns hikers have placed. 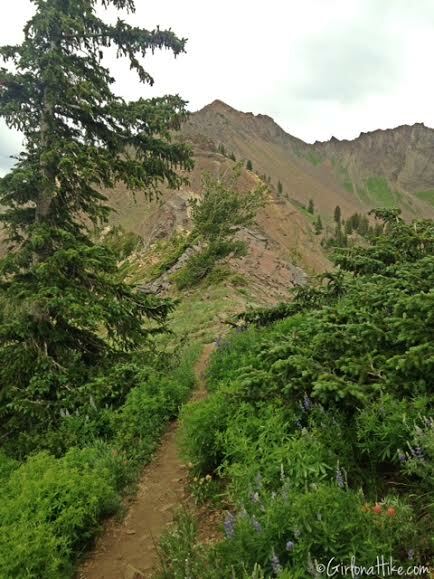 The higher you stay on the trail, the closer to the ridgeline you'll be. If you drop down, it's much harder to climb back up and you'll get yourself into loose, gravel. Not fun! 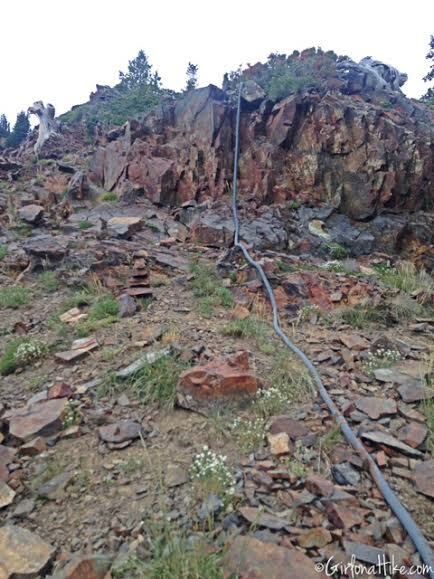 A few sections require some easy climbing up to the ridge. Give your friends below some room, in case you accidentally kick rocks down to them. 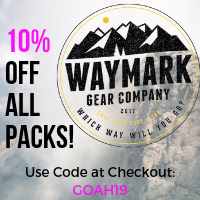 Another tip - keep everything in your pack, not your pockets. Phones, cameras, etc can easily fall out. Only a little bit more of scrambling left! 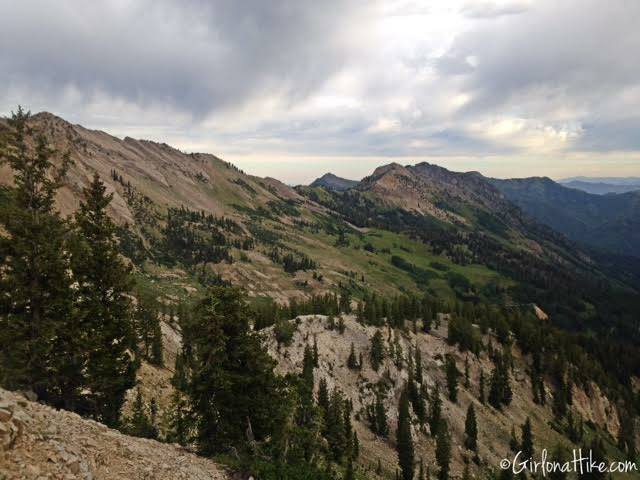 Climbing on the knife edge, looking down into Big Cottonwood Canyon. On the summit of Mt. Superior! 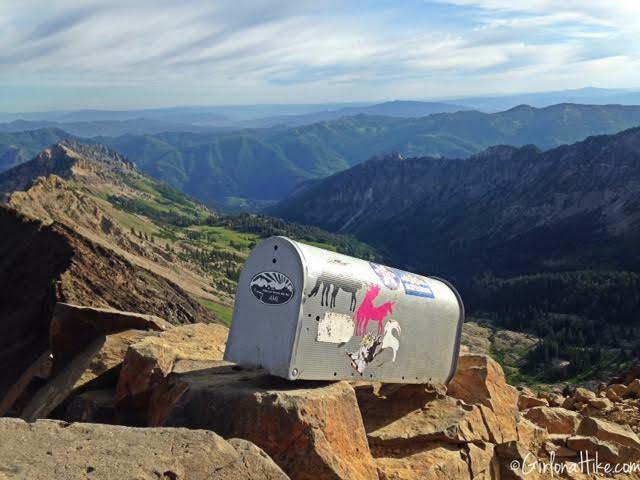 Signing the peak register, located in the mailbox. Look for my name! 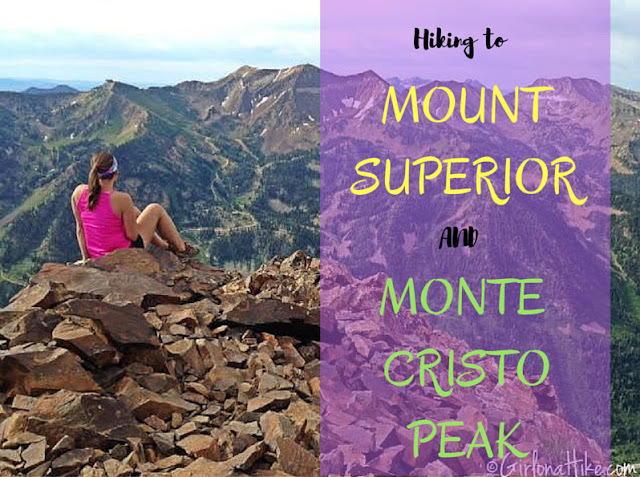 While you are on the ridge, you might as well hike another 15 minutes to bag Monte Cristo Peak! It looks much further and more intimidating than it really is. I thought this ridge was easier than the climb up to Mt. Superior. Panorama with Monte Cristo on the left, Dromedary Peak just beyond Monte Cristo, and furthest away, Broad's Fork Twin Peaks. 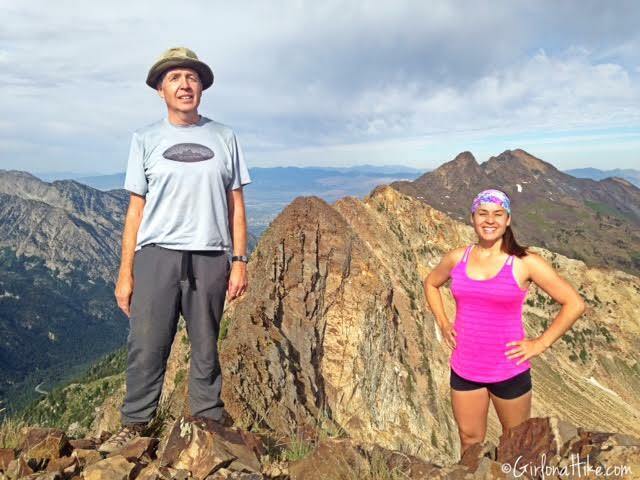 My hiking buddy, Dave and I, on Monte Cristo! 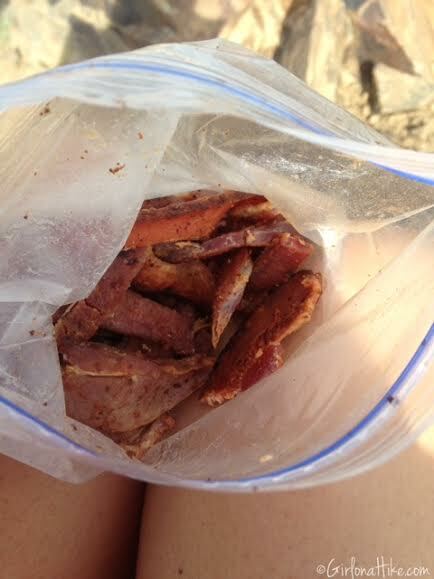 My snack choice for this hike - thick sliced bacon strips cooked up the night before. Salt, fat, and protein - YUM! 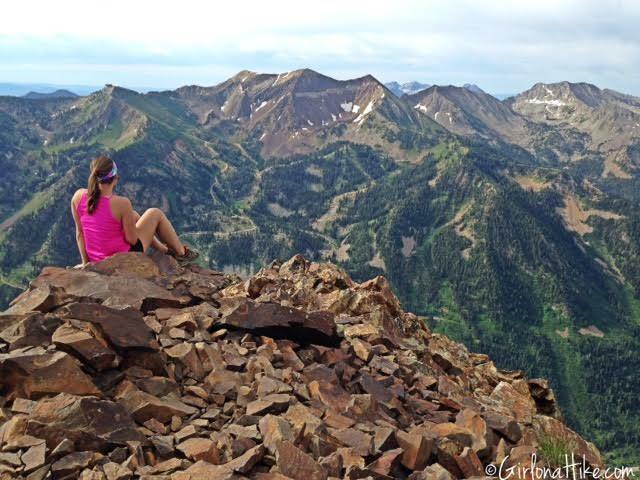 Taking in the view from Monte Cristo Peak, looking across to the south ridge of Little Cottonwood Canyon. On the hike back, we had enough time to bag Christmas Tree Peak! This structure is to house electrical stuff. A close up of the trail map, from the TH. 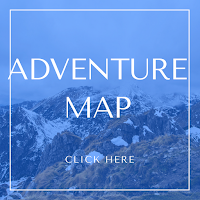 Nice trip report! I found it interesting you snack on bacon, as do I. I also may take sardines, almonds and cheese. No carbs for me. 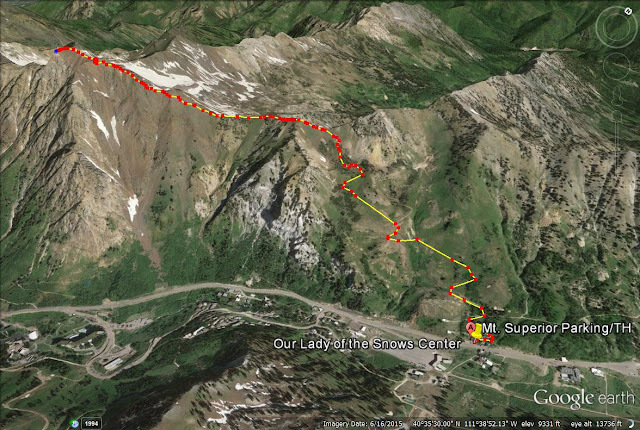 Just used these directions to summit Superior and Monte Cristo. Thanks for the detailed explanation! You refer to Dromedary Peak in several of your pictures but I believe that Dromedary is further off in the distance (though still visible, just barely, in some of the pics). That and Sunrise are next on my list!